Governor Andrew Cuomo says he may have to call a special session in December to deal with potential funding cuts from Washington that he calls part of a “federal assault” on New York. Cuomo says he’s developing a plan to manage what he says will be over a billion dollars in cuts to the state’s public hospitals, now that Congress has failed to renew a key program. “All hospitals will need to find savings,” Cuomo said. Cuomo says he’s engaged the financial firm KPMG to do come up with a proposal to distribute the cuts, and will also reconvene his Medicaid Redesign Team that revamped the Medicaid program several years ago. The legislature will then have a chance to vote on the cost-cutting plan, under provisions of a new law passed as part of the state budget earlier this year. The governor admits the cuts will be “controversial” and “difficult” to allocate. “I’m sure it will be a heated argument,” Cuomo said. The cuts stem from the expiration of the Disproportionate Share Hospital fund, or DSH, which provided money to public hospitals to help pay for care for the uninsured. It ran out on October 1st, after Congress failed to renew the fund. The DSH fund is part of the Affordable Care Act. When the ACA began in 2010, President Obama and Congress intended to eventually phase out the money to help the uninsured, because under the new national health plan, the numbers of uninsured were expected to drop. In New York the number of uninsured has been reduced by half. Critics have said Cuomo and state leaders should have known the cut was coming, and the governor acknowledges that he did anticipate that the DSH money would end someday. He compares it to a person being told to stop eating hamburgers because they have high cholesterol and might get a heart attack. Congress also failed to renew funding for the Child Health Plus program for poor children, a program originally begun by the present Governor’s father, the late Governor Mario Cuomo, and adopted nationwide by former President Bill Clinton. New York will lose a billion dollars, but the governor’s Medicaid director Jason Helgerson says the program will continue to provide health care for around 330,000 children even though the federal component has now ended. But he says the state will now have to come up with the missing money. Helgerson admits it has policymakers “scared”. It’s possible though, that the cuts could be avoided. 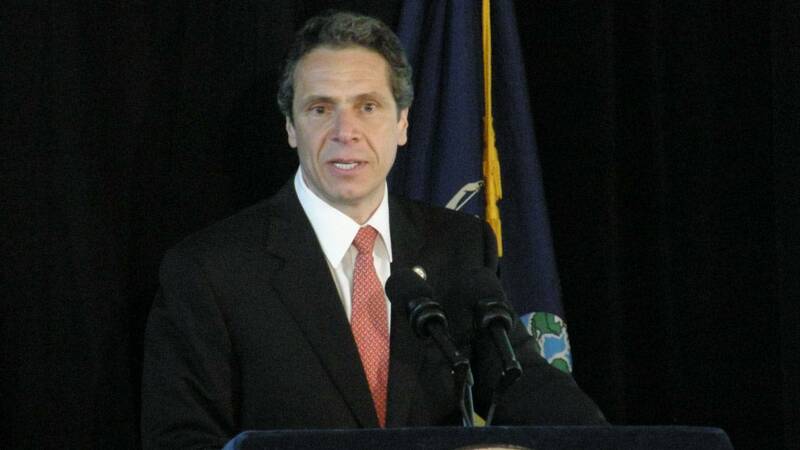 Cuomo says Congress could act in December to renew the DSH funding. New York Senator and Senate Democratic Leader Chuck Schumer, along with House Democratic Leader Nancy Pelosi, cut a deal with President Trump to work out a new federal spending plan by mid-December. Cuomo says if that happens, the legislature won’t need to meet until January and the cuts won’t have to be made. But he says he does not have a lot of confidence in Washington’s ability right now “acting sensibly”. In the meantime, Cuomo says he will appeal to the state’s congressional delegation, both Democrats and Republicans to fight to restore the cuts. The governor’s plans to cope with federal cuts come as the State’s Comptroller Tom DiNapoli has issued a report finding New Yorkers gave over $40 billion dollars more in taxes in 2016 to Washington then they got back in benefits. And the report finds that gap has doubled from $19.9 billion dollars in 2013.